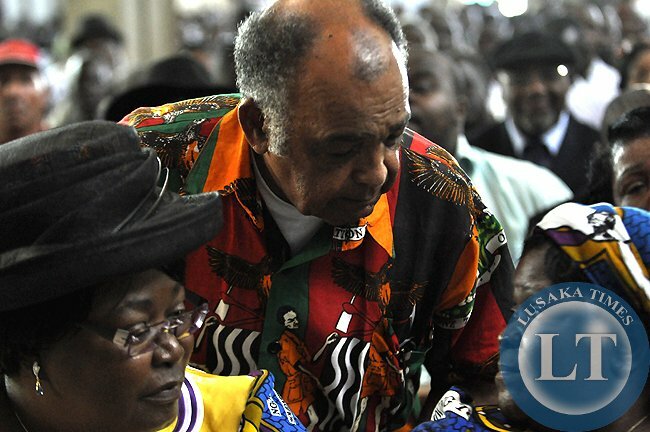 Senior citizen Dante Saunders has advised the Zambia Center for Interparty Dialogue (ZCID) against going ahead with its plans to pursue its own national dialogue process. Mr. Saunders is concerned that if the ZCID goes ahead with its plans, many Zambians that do not belong to any political party and all those that do not vote will be left out from the process. In an interview with QTV News Mr. Saunders says by virtue of having membership of only political parties, the ZCID cannot take on any national problem that can be resolved through dialogue. Mr. Saunders states that the ZCID should in this case restrict itself to resolving differences among political parties and leave the national dialogue process to the Church. He says ZCID should take cognizance that the issue of national dialogue is not about resolving a fight between two political parties but about resolving national issues affecting the Zambian people. Mr. Saunders states that this is why it is important for the Church to head and be responsible for the national dialogue process. He says the Church is better placed to handle the national dialogue process because its constituency is drawn from the entire nation. And Governance, Elections, Advocacy, and Research Services (GEARS) Initiative has urged the Church and Zambia Centre for Inter-party Dialogue (ZCID) to converse over the issue of national dialogue. Executive Director McDonald Chipenzi says this is what his organization thinks will convincingly help the two institutions handle the national political dialogue process successfully. Mr. Chipenzi states that as long as the duo continue pulling each other in a tag-of-war style and take parallel positions, the process is likely to be impaired. He says the Church and the ZCID need to agree on who has the capacities and competencies to handle national dialogue. Meanwhile, the Zambia Centre for Interparty Dialogue (ZCID) has insisted that it will go ahead with its national dialogue process. Spokesperson Jackson Silavwe says the ZCID is resolved to follow resolutions made by Secretary Generals under the conglomerate of political parties that met in Siavonga recently. Mr. Silavwe says the Church is being malicious to disregard these resolutions. He tells QTV News in an interview that the ZCID also found the recent statement issued by the Church to have lacked merit. Mr. Silavwe says the Center does not however want to seem to be in a tug of war with the Church. Dante Saunders, am I quarrelling with you or is it the politicians quarrelling among themselves who need dialogue? Are you aware that this dialogue started with the locking away to safe keeping of one tri.bal Hacks? I was not aware that Baroness Patricia Scotland wanted to broker dialogue between you and me as individual citizens? Maybe you don’t understand the topic Mr Saunders? I can assure you that if you need to dialogue with me or any other citizen, we do not need those quarrelsome church mother bodies, zcid, hakaindes etc. Just come over to my place and we talk over a glass of munkoyo and resolve any issues. You are a foooooooool. Stu.pid Tribalists. Just weight until all the money is finished the masses will fall on you like brick walls. What’s this dialogue about? Is it just a means of getting hefty allowances by the participants? Just wait for 2021. If someone misconducts themselves just follow the law. Edgar Lungu should also forget about Hichilema Hakainde recognizing him as president. …the whole world know only one president for Zambia, Hichilema can do nothing to stop that. Hichilema cannot formulate national policy. Hichilema cannot open parliament, he can only open some ceremony by his clan. In short Edgar Lungu is wasting his time worrying about an individual who is virtually helpless, a fellow who is only in charge of his household.